Here's a guide I made to root your Evo 3d and install custom ROMs. I made it as simple as I can and I assume you are using windows and got the phone from ASDA with an hboot of 1.49.0018. It worked for me but I am not 100% sure if this is accurate as I can't redo all the steps to confirm. Disclaimer: I am NOT responsible for any damages caused by this guide. Use it at your own risk. Please message me for corrections or comments so I can update this guide. If you didn't get the phone from ASDA or your HBOOT isn't 1.49.0018 then this guide in NOT for you. I cannot confirm if this works with Evo 3d bought from other retailers and those with a different Hboot number as I only have one from ASDA. Caution: You may lose some apps and data by doing this. Photos, videos,music, and other documents in the memory card will not be deleted unless you format the card before starting. You may copy all your photos, videos, music, etc. to your PC before starting and copy them back to the card afterwards. After doing this method, you will be able to backup apps and their data by using Titanium Backup in the Android market. 1. Download and install this file (alternate link 1) (alternate link 2) on your PC. This file is NOT to be included in the memory card with the others, just installed to the PC. 2. Download this file (alternate link 1) (alternate link 2), this file (alternate link 1) (alternate link 2), this file (alternate link 1) (alternate link 2), and this file (torrent link). 3. Do not unzip any of them. Just save them all (excluding the file in step 1) to the memory card of the phone outside any folders. 3a. To save it, you can use a memory card reader to transfer the file or a micro USB cable. Make sure the "disk drive" option is chosen in the phone's screen so you can see the memory card as a removable drive. 4. Power off your phone. 5. Press and hold Volume Down button and Power button to open hboot (it should be 1.49.0018 and will be downgraded to 1.49.0007). 6. When it turns on the phone will automatically find one of the files and will ask for confirmation if you want to "flash" or install it. Press the volume up button to confirm. 7. When that is done, turn off the phone by choosing reboot. You can choose the options by pressing the up and down button then select by pressing the on/off button. If this doesn't work, just take out the battery and then turn on as normal. 8. After turning on, delete the first file you put in your memory card (PG86IMG.zip) by using a memory card reader or via micro USB cable "disk drive option". You may also use file management apps from the Android market like Airdroid to transfer and delete files in the memory card. 10. Go here click download for windows, save the file, unzip it and run revolution.exe file. Do not close the webpage as you need to enter a beta key that will be shown on the program. 11. Go back to the webpage and choose Windows as your operating system, Evo 3d GSM as your device, and choose the Hboot ending in 7. Put the serial key from the program into the last box then click Generate key. 13. After everything is done, reboot the phone normally and then Reboot into recovery (you can choose this option when you try to power off the phone). If this doesn't work, you can boot into hboot by holding down Volume Down button and Power button then choose recovery in the menu. Again, You can choose the options by pressing the up and down button then select by pressing the on/off button. 14a. To install the new ROM (leedroid or other) in recovery mode/clockwork, choose "install zip from sd card" and then choose su-3.0-efgh zip file (you only need this file once, you may delete this afterwards). After that, repeat the procedure but this time choose Synergy superwipe zip from the memory card (or do a manual wipe if that doesn't work). Lastly, repeat procedure (choose install zip fom sd card) but this time choose the leedroid zip or any other ROM you want. Reboot. DONE! 14b. 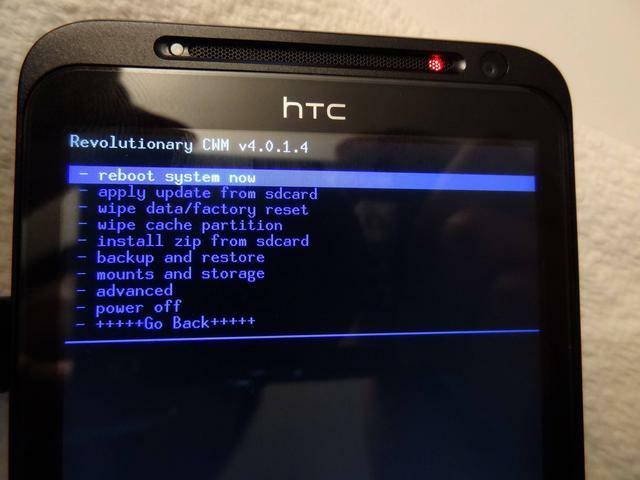 If you've done this guide and want to try another ROM, in recovery mode/clockwork, choose 'backup and restore' and then choose backup to do a NAND backup in case you want to go back if anything goes wrong. Then choose "install zip from sd card" and then choose Synergy superwipe zip from the memory card (or do a manual wipe if that doesn't work). Lastly, repeat procedure (choose install zip fom sd card) but this time choose the ROM you want. Reboot. DONE! 15. If you are having problems and want to use other roms you can go here to choose from a wide selection of ROMs. Make sure they are for Evo 3d GSM not CDMA. Don't forget to use superwipe before installing new ROMs. Superwipe will NOT format your SD card nor delete any contents on it. It is for cleaning the phone's system. 15a. To install a new ROM, follow step 14 but skip the su-3.0-efgh zip file. Please read about the ROM before installing it because they may contain bugs or might be incompatible with your Evo 3d. For those who want the original/default ROM, you can get it from this link. 15b. It is wise to do a NAND backup -- a backup of everything in your phone (all apps, settings, contacts) except photos, music, videos, documents -- before installing a ROM so you can just restore it easily if anything goes wrong. To do this, just choose backup and restore in the menu. This is different from Titanium Backup as it is the whole state of your phone rather than individual backup of apps and their settings. Thanks for this, but how do I do a backup of the stuff on the card I want to keep? You do not have to delete anything in the card like photos, videos, and other documents so they will still be there after the installation of custom ROMs. The apps will change though but after installing a custom ROM, you will be able to use Titanium Backup to save any app plus the data you will have from there on. Ok that's good news. I know how to use Titanium backup so that's great.. Many thanks for your prompt reply. 1. Download and install this file (alternate link 1) (alternate link 2) on your PC. great guide, thanks for making the effort. Can i ask when i rooted my desire i was advised to make a goldcard is this advisable with this rooting application? Is there a way to backup the original rom incase of any errors in the rooting? In step 14, does installing the superwipe perform the actual wipe or do you then have to go in andto CWM again to do a wipe? Also does running superwipe wipe the SD card or just the phone? Step 14 before doing the superwipe. i get stuck at point 10. The reveloution program doesnt find my phone, it gets stuck on the Waiting for Device Screen. Ive checked the debug mode on the phone. Please help! hi, i found the solution, i didnt install the driver on my pc. However, i have ran into another issue. Point 14. When i run the Synergy Superwipe, it shows an error on the phone (Status 1) and aborts the installation. I installed latest stock rom and radio after doing this and works perfectly. You have to flash PG86IMG.zip on hboot to downgrade it first. Make sure the file is not corrupt. Redo steps 2 to 6. Thanks man worked a treat. Any chance you can do a guide to revert fully to stock and s-on just incase we need to? Thank you for putting guide together for us asda evo peeps. it made things a lot easier than working out what is what from the xda forum. I tried 3 different PG86IMG.zip files but all seemed to be corrupt. Any reputable suggestions? i relocked the bootloader and the pg86img went in a treat, i am now fully rooted with the leedroid rom installed. i'd like to say thanks a lot for a very good tutorial, it was so easy to understand and was great not to have any of the usual "grey areas"
Hey buddy, great effort, must thank you first. 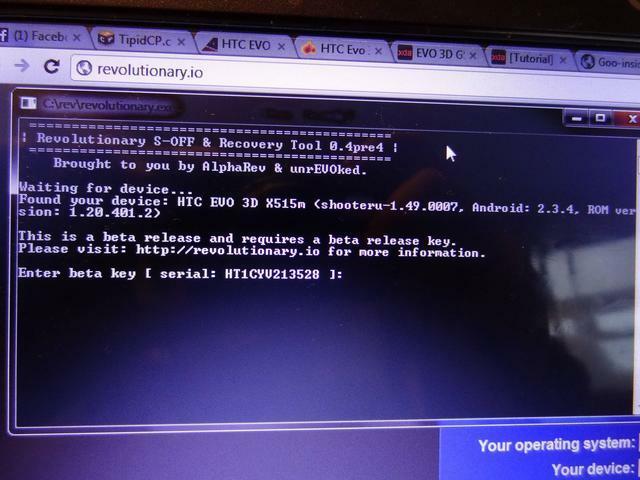 I have evo 3d with Hboot 1.49.0013. So is your process going to work in my device??? Getting one of these delivered as soon as Asda have stock again. You sir are a king. Many thanks for walk trough. I bought my first smartphone 2 days ago (evo 3d), and now I have it rooted and upgraded. If I can do that, anyone can. In mine eve 3d there's no downgrade from 1.49.0018 to 1.49.0007 why? My thanks to the Author, I couldn't have done it without this tutorial, absolutely spot on. I think you need to let people know that THIS method is the only one that works. I spent hours working with SuperTool only for it to make things harder, you need to ensure that the phone is locked BEFORE starting this process. If hboot is *unlocked* then you wont be able to downgrade. Worked like a charm - Thank you so much. Hi, Great post. Could u pls confirm if you have a GSM version of the evo3d? I have an EVO3D GSM but I dont know if your guide is for CDMA or GSM? this is for GSM, i followed it yesterday, and installed newest leedroid, what an improvement! so...big question...if we want to revert back to locked and not lose warranty what do we need to do? I have a problem with my Evo 3D (it keeps shutting down even if the battery is full and the only way I can power it is by removing the battery for a few seconds or by plugging the charger for a few seconds, otherwise the power button simply doesn't work). My guess is that it is a firmware issue that's the reason I would like to change the kernel and radio and of course a new rom. However if the problem will still be after doing this I don't want to lose my warranty because it says relocked or unlocked. Hi, a lil late but some of the files can't be downloaded anymore. Any chance of a re upload?